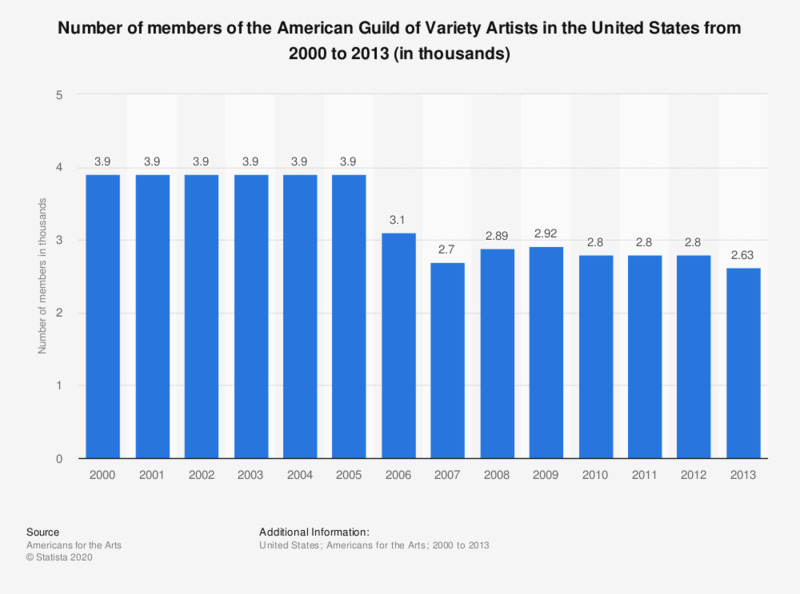 This statistic shows the number of members of the American Guild of Variety Artists in the United States from 2000 to 2013. In 2013, there were approximately 2.63 thousand members of the American Guild of Variety Artists. The American Guild of Variety Artists (AGVA) is an American entertainment union representing performers in variety entertainment, including circuses, Las Vegas showrooms and cabarets, comedy showcases, dance revues, magic shows, theme park shows, and arena and auditorium extravaganzas.